Every business owner knows you only get one shot to make the best first impression. To make a great first impression, you have to have a a solid foundation - which, at a business, is often the flooring. Maybe you're looking for the best way to get clean shiny floors, but not sure of what the best option is? At Hemenway Concrete Contracting Inc., we have your answer: polished concrete. Not only will polished concrete provide the luster you need to impress your clients and customers, but it is also extremely long-lasting and durable. 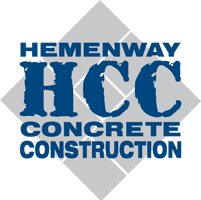 At Hemenway Concrete Contracting Inc., we specialize in polished concrete floors for commercial businesses. With over 40 years' experience under our belt, our professionals have the knowledge and expertise needed to handle everything from pouring the concrete to staining and polishing. At Hemenway Concrete, we take pride in our work and we want all of our polished concrete installations to last you a lifetime. Serving Nicholasville, Lexington & Frankfort, KY.
As a family owned and operated business serving Nicholasville, Lexington & Frankfort, KY, we understand that customer satisfaction is largely dependent on presentation. Worried that your business's stained carpet or torn vinyl floors are making the wrong impression? Get your floors replaced with gorgeous polished concrete. Some of the benefits of concrete flooring include: stain-resistance, increased slip resistance, less maintenance and cost savings. If your business is considering switching your flooring to polished concrete, call Hemenway Concrete Contracting Inc. today.